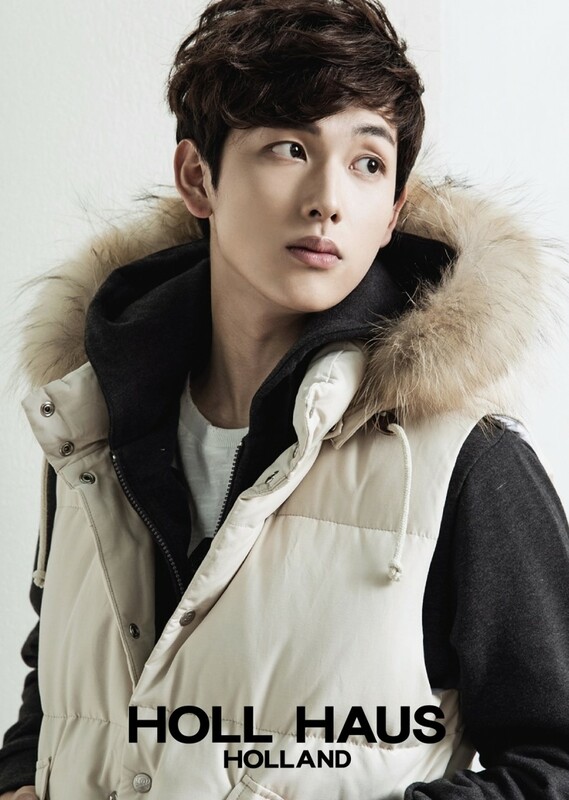 Korean star Siwan Im, currently on military hiatus. Today’s celebrity feature goes to Siwan and Kim Jong-kook! Siwan is a member of kpop boyband ZE:A and the star of 2013 film The Attorney. He was also the star of the cable series Misaeng. These days, he’s currently halfway through his mandatory military service and will rejoin the scene next year. Kim Jong-kook, on the other hand, hardly needs an introduction. Since exploding onto the scene in the duo Turbo, he’s been very busy. From solo performances to a wonderful comedic run every week on Running Man, he’s had a long and successful career! As different as their careers have been, today they show off the same Drilley’s espadrilles! Jong-kook looks thrilled with his Drilley’s espadrilles! Of course, we can only speculate on why Siwan and Jong-kook went for Drilley’s. But we also think it’s not a hard decision! Drilley’s gives much to recommend it. They’re super comfortable! With a snug fit that gently molds around your feet as you wear them, espadrilles are some of the most comfortable shoes you’ll find. They’re stylish. From stripes to solids, bold colors to subtle, Drilley’s espadrilles have a huge range of designs. Grab a pair for the house and a pair for outside, or even mix and match! They’re all-natural. That’s right – the company uses natural fibers, recycled materials, and natural dyes. Drilley’s even goes so far as to work towards no waste production methods. That’s a real commitment to being eco-friendly! 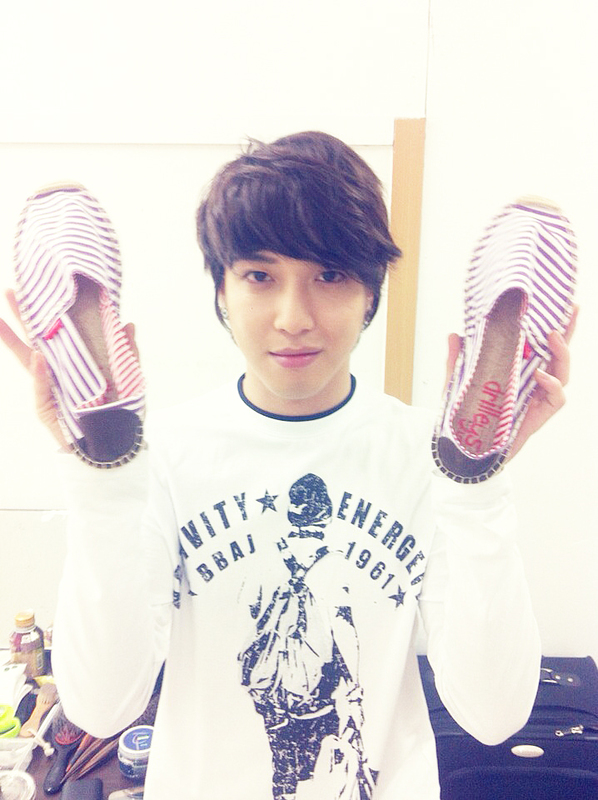 Siwan went for stripes in his new pair of Drilley’s espadrilles. If you aren’t convinced yet, take a look through the catalog and website at www.drilleys.com to see a bit more. It’s hard to resist all the fun colors and designs! Which do you like most, the stripes or the solids? Of course, a big thank you to Siwan and Jong-kook for the photos! We wish both all the best in their careers and hope to see much more from them, very soon! Share the post "Siwan and Kim Jong-Kook With Drilley’s Espadrilles"
Posted in CELEBRITY'S PICK and tagged casual shoes, celebrity pick, drilleys, drilleys espadrilles, espadrilles, jong-kook, korean celebrity fashion, running man korean show, siwan korean singer. Bookmark the permalink.